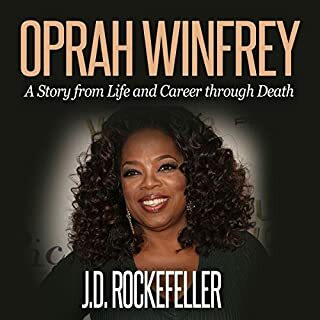 The story of Oprah Winfrey is one that will remain relevant to all generations. It is one that every person can identify with in one way or another, and borrow a leaf from her astounding success. Hers is a journey worthy of emulation. It leaves a lot of admiration for the young and old, male and female alike. One would be tempted to mistake her life for a creative piece of fiction, but again it is nothing but the truth. For this very reason, we can all take the lessons thereof seriously and preach the gospel of her life whenever we can. 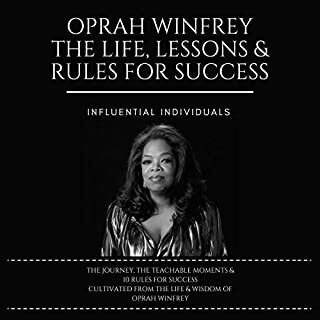 Are you wondering how Oprah was able to pull a very dramatic life transformation from an idle dreamer to a very popular and successful person? If you consider her to be your inspiration, why not consider her tips to attaining a newer height of success in life? In life, successful things always get started with a well-streamlined mixture of words and thoughts. Just don't go too far in your life but go too far to achieve to your dreams. Now, for the first time, the editors at O. have combed through the magazine's extensive archives to assemble O's Little Book of Happiness, a collection of the very best essays and advice they've published on the theme of finding happiness. Outstanding story of Oprah's life. 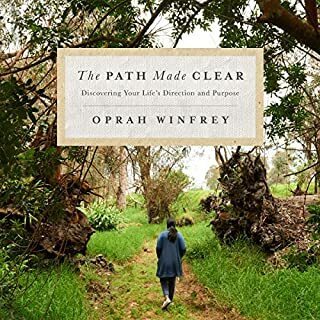 Would you listen to Oprah again? Why? Yes, Listening to it will give us more hope and tell us first to believe in urself. What was one of the most memorable moments of Oprah? Sharing her happy moments in the tv Show. The scene which states we should be optimistic in believing ourself. I loved this audio version of the book; it was easy to use & functional. The work was inspiring & insightful. The narrator was pleasant. Good book. Narrator is very good. Easy to understand. Nice overview on some topics about Oprah. Generally good. This is written like it was done by a 13-year-old writing a paper about Oprah. With her picture on the front, I thought it would be something a little closer to Oprah's high grade of materials. The narrator has a cheesy voice;perhaps not the best choice of talent. The actual material written was ok. But the writer kept repeating the same accomplishments (owning a channel, having high viewership/ratings), so that's why it just seemed like a fan bragging on Oprah's accomplishments. 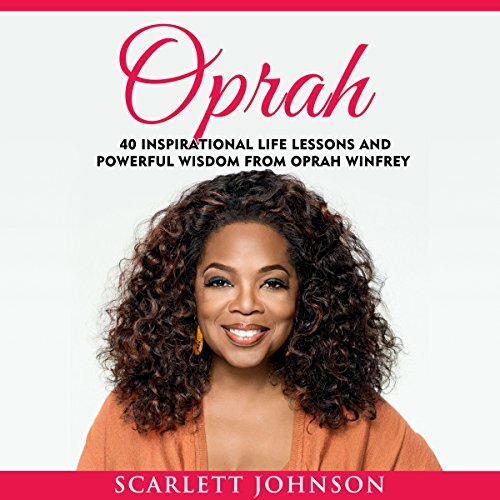 Would not recommend, as this information can be found on Wikipedia, unless a person of lower intelligence were to have a bad day and just need a pick-me-up...or might recommend to a 12-year-old as a study tool to write about Oprah's accomplishments. this title was disappointing, I wasn't impressed with the narrator at all. 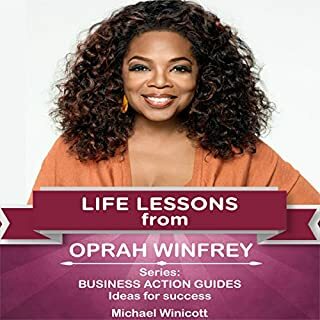 I would rather listen to Oprah talk about her inspirational life lessons and wisdom she’s learned over the years for a more powerful affect. 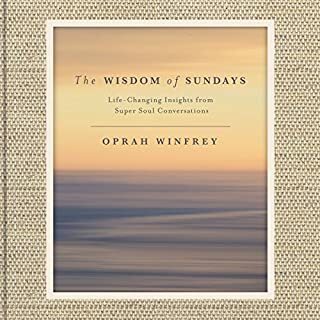 This book was snippets of wisdom gathered from Oprah. Good advice in short digestible portions. However it was not delivered in the low voice of Oprah with her gravitas. Instead it was performed by a person with a tiny light voice. NOT THE SAME. The speaker's voice was a distraction and quite annoying. I guess I didn't notice that Oprha wasn't actually reading the audio book. It was very uninspiring listing to what sounded like a very young girl speak about what Oprah thoughts and feelings are. I feel cheated. This book is so short and so basic. My 10 year old could have done a better job of stealing Oprahs life ideas and writing them up. Don't buy!!! whose voice is this ! managed ten mins before had to switch it off. what a waste of money. pity as her last book 'what I know for sure' was very good. This book is an easy listen. Good advice. Good reminders. Nothing new but still worth a listen. I feel completely ripped off. 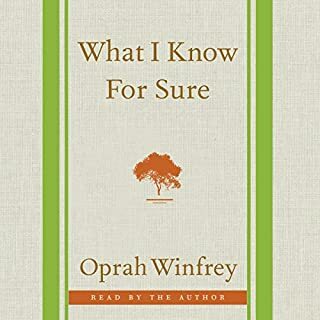 It is simply some unknown reading quotes from Oprah. Definitely not recommended.